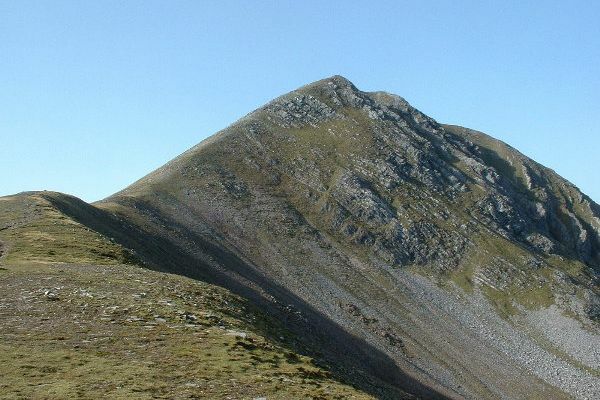 Stob Coire Easain and Stob a' Choire Mheadhion (1105m) are located on a 8km long ridge, separated by a high col (960m) and consequently, are climbed together. 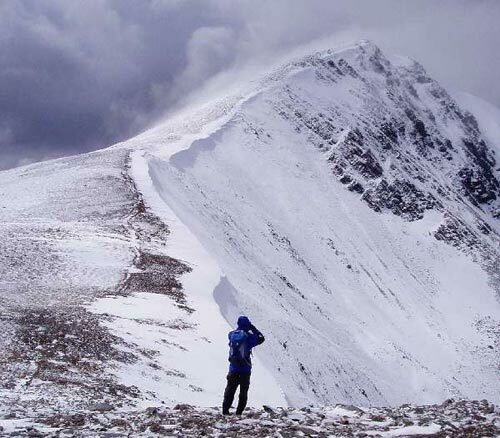 Stob Coire Easain has one other ridge NNE which is craggy on its N flank. 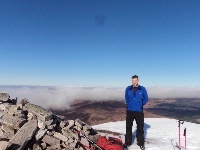 To the E of the main ridge the slopes, overlooking Loch Treig, are craggy in places but there are easy slopes down to Creagan a Chaise (723m), whereas those to the W are rocky just below the summits but then easier terrain leads down to the Lairig Leacach. 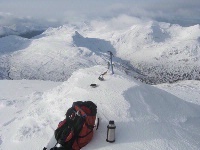 Normal access is from Stob a' Choire Mheadhion or from Coire Laire via the ridge N of the summit. Looking up the NE ridge of Stob Coire Easain from the point of descent down the loose and steep path into Coire Easain Beag. 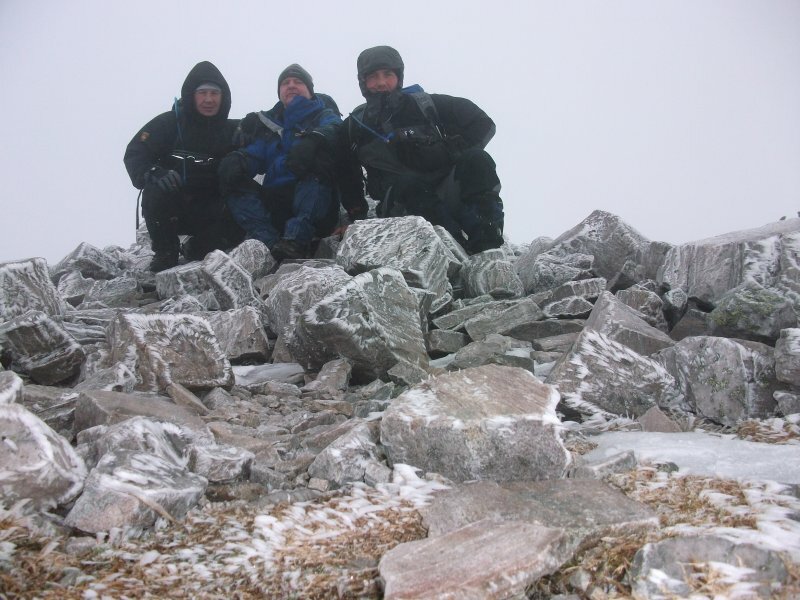 The summary information of one or more ascent routes that include Stob Coire Easain. 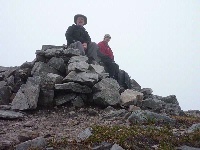 Post a few words about Stob Coire Easain or read what others have had to say. Using the route of descent in my shared route is by far the quikest way on and off these mountains. You get to follow the dam road for about 1 mile or so before picking up stalking/ argo paths that link with the main route at NN 337767. Dont follow my route to the summit which involves some heather and bog. Ps its a longer trek in than you might expect, before you get near the two summits. Descent route via corrie not recommended in winter. Large cornices make it hazardous. 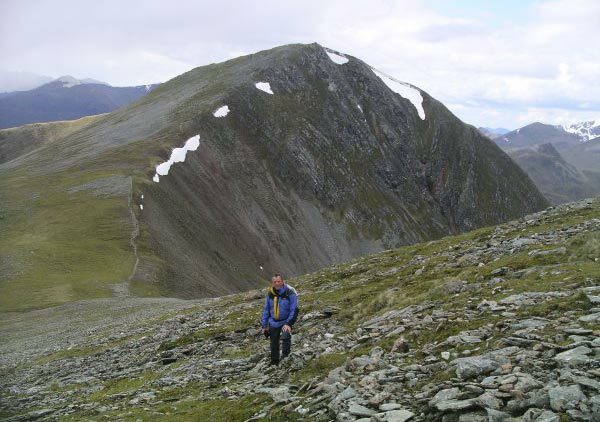 There is a very clear, but steep, path from the col with Stob a’ Choire Mheadhoin.